You’ve dreamed of relaxing in the luxury of your own hot tub, and now you’re ready to make the investment. But where do you start? 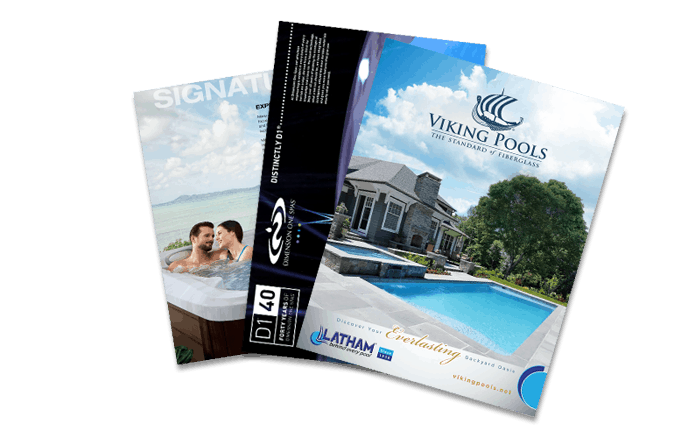 Knowing the features and benefits of the many different hot tubs available to choose from will make your decision easier. Here’s what to look for when selecting your new spa. Hot tubs range in size from single-person to ones that can accommodate up to eight adults. Before choosing the size that’s right for you, you’ll need to first determine the location for your hot tub. The amount of space available will partly dictate its size. Once you’ve narrowed down the size, think about how you will be using your hot tub. Will you be soaking solo? With your spouse or partner? Or will your hot tub be used as a source of entertainment when hosting friends? Use this information to help with selecting the number of seats. Now that you’ve determined the size and seating capacity, don’t forget to consider the type of seats and how they are placed in the hot tub. Seating options range from bench seating to single captain’s seats to loungers and open seating. You will find many hot tubs that offer a combination of seating options, so you don’t have to choose just one type. A lounger offers the ultimate luxury of reclining while soaking in your hot tub, but if you plan on having a group of people join you, a lounger will eat up a good deal of valuable space. Bench seating or an open love seat with a couple of captain’s chairs might be a better option for you. And don’t forget about the footwell. Is there a place to comfortably relax your feet, and the feet of others who may be joining you? These are important considerations when selecting the right hot tub for you. Arguably one of the most important spa features to consider is the jets. The type of jets is a personal choice and differs from person to person. Some enjoy a soothing, softer soak, while others appreciate the strength of a powerful massage. A hot tub with a combination of different types of jets with adjustable controls will suit most people. Also note where the jets are placed; this may be more important than the number of jets included. Strong Spas hot tubs include directional hydrotherapy jets that are fully adjustable. Caldera Spas’ Cantibri hot tub is equipped with the Atlas Neck Massage, which provides a pillow that cradles your head while jets focus on the neck and shoulders. There are a variety of jet placements, so make sure they are situated where they will provide you with relief where you need it the most. Chromotherapy Lighting: Chromotherapy is the use of colored light to provide healing for the mind, body and spirit. With chromotherapy you can illuminate your spa with the calming color of blue or the reinvigorating color of red, among many others. A backlit waterfall and lighted LED jets are options on Strong Spas’ hot tubs. Caldera Spas offers an LED points of lights system that highlights different zones in the hot tub. Waterfall: A cascading waterfall is a soothing sound when looking to relax after a stressful day. If the ambiance that a waterfall provides is important to you, look for a model that includes this calming feature. Integrated Sound: If you’re a music lover, you’ll want to consider outfitting your hot tub with an integrated sound system. Choose basic speakers, or upgrade with Bluetooth, a subwoofer and a docking station. Strong Spas offers a Bluetooth enabled stereo on some of its models[jc1] . And Caldera Spas’ Vacanza hot tub boasts the Aquatic Melodies integrated MP3 sound system. Whichever option you choose, you’ll be able to indulge in a soak while listening to your favorite tunes. Water Care: While not the most exciting aspect of owning a hot tub, maintaining the quality of your hot tub’s water is essential. There are different systems available to help you with this task. Strong Spas’ Corona Discharge Ozonator breaks down chemicals and bodily fluids. With a Frog system, available on Caldera hot tubs, you simply replace the cartridges once a month and the minerals four times a year. Look for the water care system that will be easiest for you to operate and maintain. Spa Cover: And don’t forget one of the most important features of caring for your new hot tub – the cover. A cover will seal your spa from the weather and help retain heat. Covana’s automatic spa covers raise and lower with a simple turn of a key, and when raised, they act as a gazebo, providing you with shade. Keeping in mind your budget and the features that are most important to you will help you select the hot tub that will provide the relaxing experience that you’ve been dreaming of.